It was a complete honour to organise this 6-Day wedding for Nicola and Daren at Castello Orsini in Nerola, Italy. A full blog will be posted very soon with all the details! A Dream Italian Wedding Venue, Il Borro in Tuscany! Last month I had the pleasure of spending some time with Angela Boninsegni, who is the Director of Reservations at Il Borro in Tuscany. She came to London to meet with a number of top destination wedding planners based in London. It was so lovely to be able to assist with the meetings and get to know Angela and Il Borro so much more. 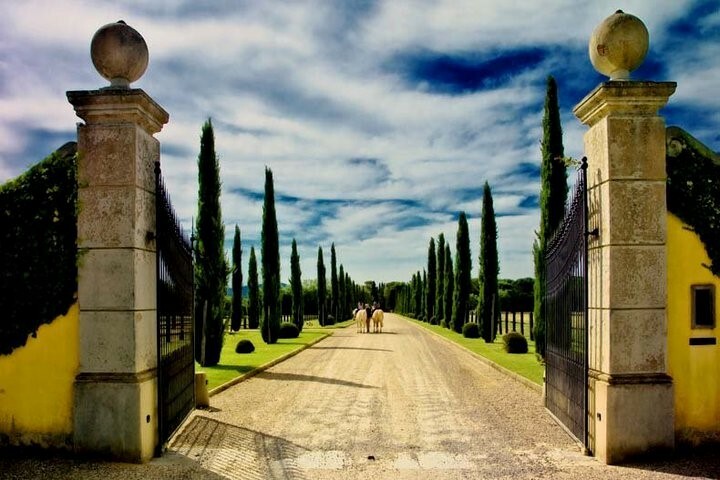 Il Borro is an absolutely stunning 860 hectares’ location for weddings, events or just a lovely Italian holiday, in a secret corner of the landscape of Tuscany which is owned by the Ferragamo family. They have kept the history of the past and combined it with modern touches to create a superb blend of history and luxury. If you do not know Il Borro, I believe after this blog it will be hard to get it out of your head. For those who already know Il Borro, this is a perfect excuse to remember why this place is in your heart. 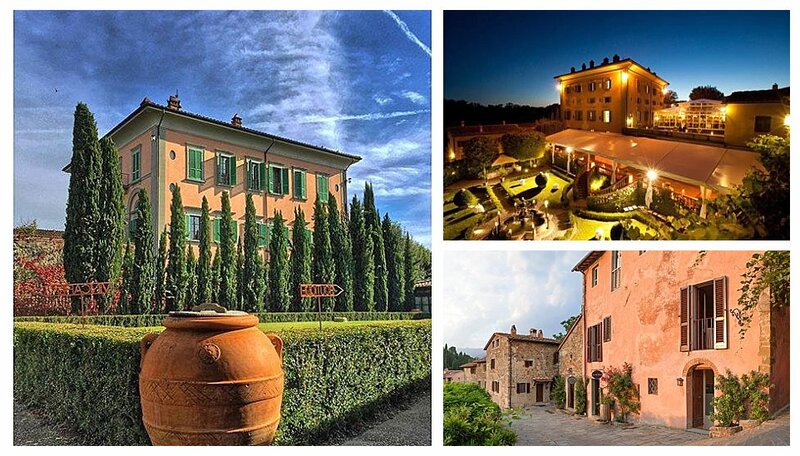 At Il Borro there are many different locations to hold your wedding and for your accommodation. From the Main Villa, being an elegant location for the bride, groom and close family to stay, to the 5 star suites in the Medieval Village. There are also gorgeous farmhouses for your guests, which are 3 big country houses split in 2 or 4 units with a lovely pool to share. 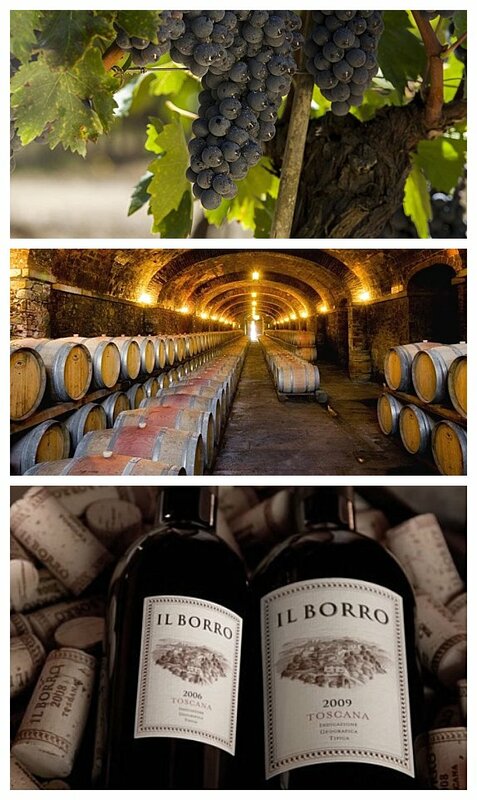 Il Borro’s overall style is a combination of luxury and the Tuscany style. Looking out of the window from the Main Villa, gives you a view over the village and the breath-taking Tuscan landscape. In my opinion the Medieval Village is one of the unique selling points of ll Borro. Guests can enjoy the Italian experience with the unique handcraft boutiques and excellent restaurants. 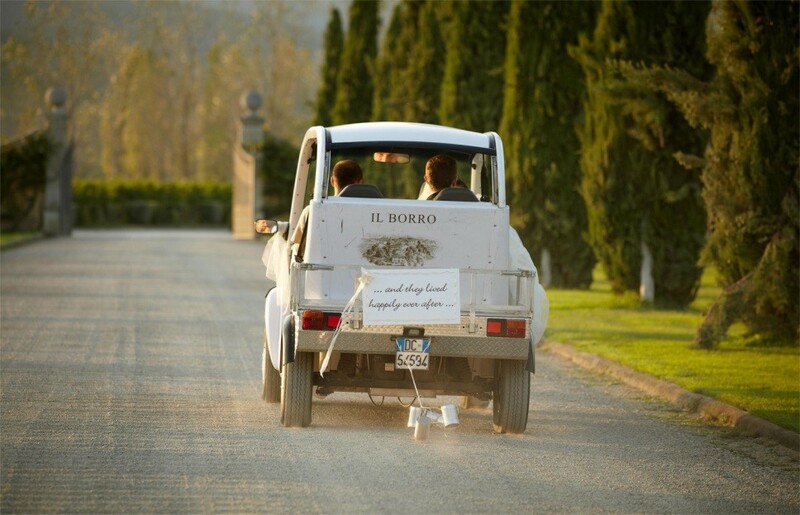 For weddings, Il Borro offers a series of exclusive locations, outdoors and indoors. Each of them has different characteristics and is designed to suit every taste. You can choose between the nineteenth-century manor house (Main Villa) for a refined and romantic ceremony, the private garden in the Renaissance style for an outdoor function or the stunning old Orangerie for your reception. If you wish to add authenticity and charm to your ceremony, why not choose the Medieval Village with its narrow streets and centuries-old church? 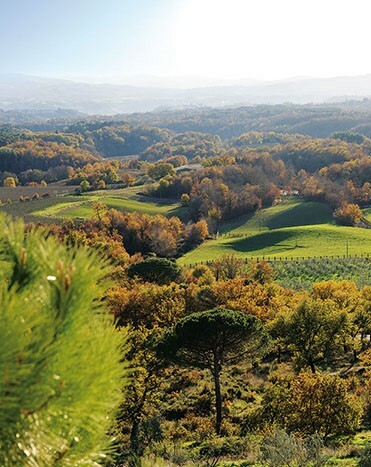 Il Borro is a biodynamic farm where they produce their own electricity with solar panels. They produce their own wines with true passion from their beautiful vineyards which they store at their own wine cellars. This is a nice excuse to sign up for their wine tour, where you can enjoy the different home-made produced wines and visit the beautiful wine cellar. Il Borro offers a variety of different activities, amongst which are nature walks, a round of golf, mountain biking, trekking….. there is something for every taste to keep you and your guests entertained. 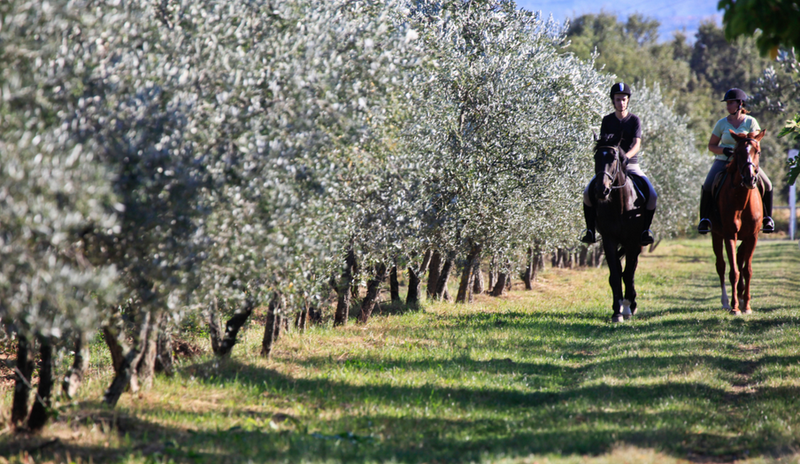 They also have 26 horses, which is the perfect way to discover the Italian landscape in a fun and exciting way. When one thinks of Italy, the majority will associate this country with delicious food. They have two fantastic restaurants (The Gourmet and the Bistro) and you can also enjoy cooking lessons with their chefs, which is a great way to learn Italian cooking skills from an experienced Italian cook. 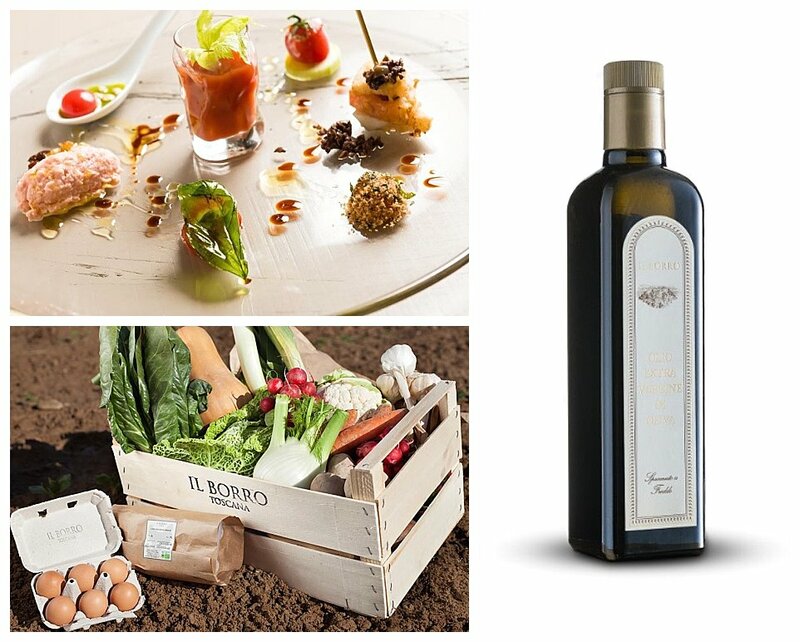 Not to forget, using the olive oil produced at Il Borro, from their own olive trees. It is my belief that Il Borro gives you that “goose bump” feeling even if you only look at the pictures, imagine actually being at this stunning location. An oasis of peace that rests over this Italian fairy tale location contributes to its uniqueness for your very special wedding day or just a relaxing holiday. I was already interested in Il Borro when Dominique introduced me to it and this interest only grew during my time with Angela. Her true passion for Il Borro is so inspiring and it was an absolute delight to see how she glowed and lit up when speaking of it. In my eyes, this is true passion. But then again, no wonder passion arises with a wonderful location like this! 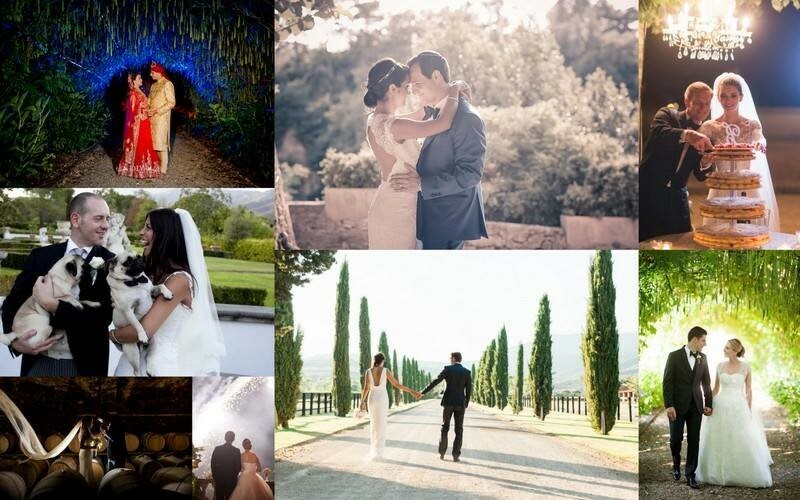 All photos in this blog are from the Il Borro website and their facebook page or from Snowdrops Weddings & Events photo shoot at Il Borro with Kate Nielen. 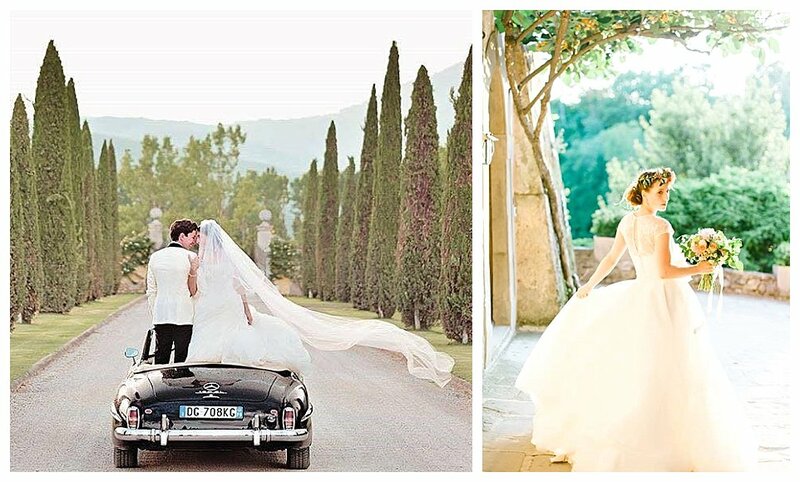 Emma and Manuel designed an elegant wedding in beautiful Tuscany in an historic castle, Castello di Modanella. 120 guests travelled to Italy for a 4 day event and enjoyed the wonderful food and wine of the region. As well as the wedding arrangements Dominique was involved in the travel, accommodation and the many events over this dream week. This event was a joint venture with the fabulous Italian wedding planner, Giulia Bono (www.giuliabono.it).